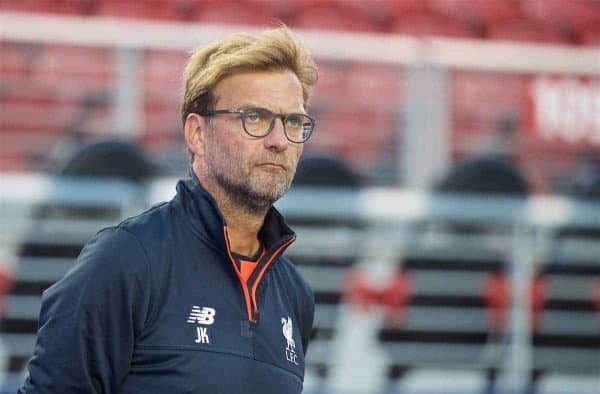 Jurgen Klopp recently shared more about his background and his methods as a football manager. Eric Teo connect the dots in an attempt to make sense of his football philosophy. Klopp’s system makes his players perform better as a team. After taking over mid-season last October, he signed no new players, sans emergency reserve Steven Caulker. With a team not exactly suited for his methods, he brought us to two cup finals. It is no doubt a considerable achievement, despite twice falling at the final hurdle and the inconsistency of our team play. Factors such as the overload of fixtures and, as a result, the lack of training time and injuries to players provide some explanation. Klopp’s side have performed at a significantly higher level with more consistency this season, after seven new players joined. The media has been building us up and the bookmakers have installed us second favourites for the title. This was achieved despite the lack of a “marquee” signing to really excite us fans or a good fullback, or two, to address our defensive struggles. Klopp is confounding pundits and fans alike. So how do we start to understand why and how his system helps us punch above our weight. Gegenpressing, or counter pressing, is strongly associated with Klopp. He has spoken many times about this. That it is not full on gegenpressing for 95 minutes, but about intelligent pressing at the right time, at the right places, and targeting specific players. There is little doubt gegenpressing is a major tool to help Klopp’s and our team to punch above our weight and compete at the highest level. One of the things Klopp said about gegenpressing is that it is better than any playmaker in the world. If we win the ball back high up the pitch, we could initiate an attack before the opposing defence is set. This makes it much easier for our attackers to create chances and score. On the contrary, if the defence is set, we might need 20 passes before our top playmaker has an opportunity to make that genius final pass to our number 9. At this point, we should probably be able to see how gegenpressing is more important than individual skills, at least in Klopp’s system. And we can infer two things from this – 1) why Roberto Firmino is often preferred to even a fully fit Daniel Sturridge, and 2) why Klopp always talk about the team, and displays a certain disdain when asked about individual players. The fluidity is actually the result of gegenpressing. At the point when we win the ball back high up the pitch, it is probably the best time to start our attack because the opposing defence is not yet set. But our attackers could also be all over the pitch because of our pressing only moments before. This is where the flexibility of our players and the fluidity of our attacking play comes in. The secret is, our forwards do not have to be set in any attacking formation! Because anyone can take on defenders, pass, create or shoot, albeit with varying degrees of expertise. Many a time last season we struggled against teams we were expected to beat – an inconsistency that frustrates fans, especially because we more than hold our own against the seemingly bigger teams. Even at the start of this season against Burnley. That was a game which we completely dominated but just could not buy a goal. So what gives? How do we explain our ineptitude against the so-called bus parking teams? The key here is because these teams sit deep and defend from the off, gegenpressing hardly comes into play. And thus, we lack the easier scenarios to attack before the defence is set. I guess we are left the the million and one dollar question now… How can we score against teams with two banks for four inside their box? The answer is no secret. Generally, the better our players are, the better our team play should be. The addition of Sadio Mane this season added a directness and pace to take on defenders and pull the defence out of shape. This makes it easier for us to score. And this is on top of the possible magical moments from Philippe Coutinho, Firmino, Adam Lallana and Sturridge. And once we score the first goal, our opponents will not continue to sit back and the game will open up. This is when gegenpressing comes into play again. The 5-1 win over Hull is a good example of this. Would a Luis Suarez fit into this system? Hell yeah! Not only is he a player with the necessary skills to create magical moments, but he will also lead the gegenpress, possibly even better than Bobby Firmino can. These days, while most pundits have turned positive on LFC, they will also usually add the caveat that we need to sort out our defence before we can seriously challenge for the title. To be fair, this makes a lot of sense since we have not kept a single clean sheet in the league so far this season. And a certain square pegs in round holes argument applies to James Milner in left back and Jordan Henderson playing as the holding midfielder. Of course, let’s not forget about Firmino playing as a false nine. Klopp said the role of a full back is to “be an option or provide protection.” And that Milner need not worry about not having enough touches during game time. Klopp has evidently communicated to his players about the responsibilities and expectations of their respective roles, and is convinced they are up to the tasks. Thus, we should not over worry about square pegs at all. Klopp clearly understands the system and know his players better than any of us ever will. A running theme during interviews with Klopp is how our players need to make the right decisions. And he also said our team has to learn from both the good and bad experiences in matches and keep improving. Over time, we can expect the game intelligence of our players to increase. This should also result in further improvements in our performance. Our future is especially bright because our improved performance and possible forcing back into the Champions League positions should help us to attract even better players who fit our style of play. And it is only natural for us to expect more magical moments!